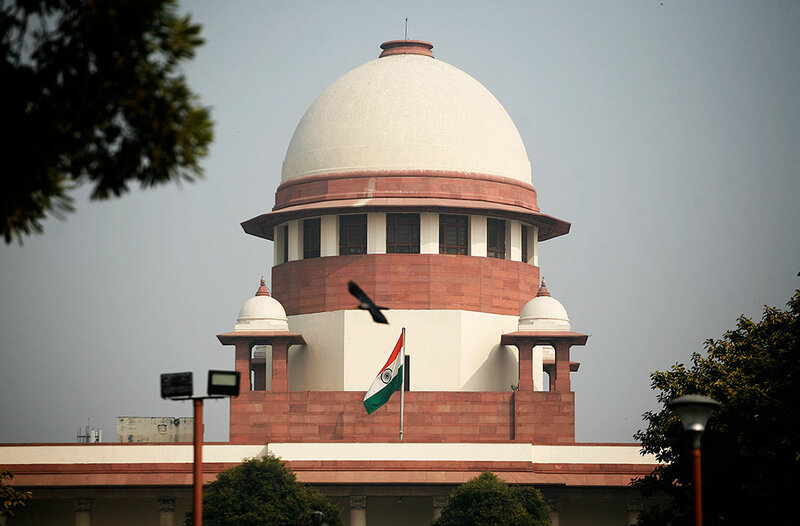 A bench comprising Justices Uday Umesh Lalit and Indu Malhotra has pronounced that the SLP(C) Nos.931 and 939 of 2019 stand disposed of as having been settled by the parties. SLP(C) No.968 of 2019 be listed for consideration before appropriate Bench in due course and all the appeals stand disposed with no costs. Present appeal has been filed by the DLF Homes Panchkula against the final judgment and order dated Sep 7, 2018 passed by the National Consumer Disputes Redressal Commission, New Delhi, wherein, National Commission affirmed the view taken by the State Commission and dismissed all the appeals. In the Present matter, Sushila Devi and other complainants had booked apartments in a project titled “DLF Valley, Panchkula” situated in Panchkula, Haryana, which was to be developed by the Developer. The Developer had promised to handover possession within 24 months from the date of signing of the agreement. Various complaints came to be filed by the complainants submitting that despite period of two years being over there was no substantial progress and as such, the Developer was deficient in rendering service. Some of the Complainants prayed for refund of all the money they had deposited from time to time along with interest and compensation while others sought relief in the nature of compensation for delayed delivery of possession but insisted that the possession of the apartments be handed over to them. SC referred the matter whether the proviso contained in Section 24 of the Right to Fair Compensation and Transparency in Land Acquisition, Rehabilitation and Resettlement Act, 2013 is a proviso to Section 24(1)(b) or whether it is a proviso to Section 24(2) to a larger bench. It is a case of the Virender Lal Bahri and others in this batch of writ petitions that they represent the majority of the land holdings being 162 bighas. It is also the case that the compensation has not been paid to them. The Land Acquisition Collector admits this. Upon not receiving the compensation from the DDA, Virender lal and others has filed a petition before Delhi High Court. High court held that the compensation on the part of the DDA had been handed over to the Land Acquisition Collector and it is the Land Acquisition Collector who ought to have paid the compensation to the Virender Lal Bahri and others. The fact that the Land Acquisition Collector did not pay the compensation to them should not result in any further burden on the DDA. Insofar as the Virender Lal Bahri and others are concerned, they are entitled to compensation under the Act and directed the DDA to pay them compensation in terms of the 2013 Act, as expeditiously as possible, irrespective of the inter se dispute between the Land Acquisition Collector and the DDA. Being aggrieved by the Impugned order of the Delhi High Court, DDA filed an appeal before the Supreme Court. A bench comprising Justices Rohinton Fali Nariman and Sanjay Kishan Kaul noted that this judgment has since been upset by a judgment of three learned Judges in the case of Indore Development Authority v. Shailendra. The judgment in Indore Development Authority (supra) has itself been referred to a Bench of five learned Judges vide order dated Feb 22, 2018. For all these reasons, it is better if this judgment were also to be referred to the same bench which is hearing Indore Development Authority (supra) afresh, as that case also refers to different aspects of the same provision, namely, Section 24 of the 2013 Act. For all these reasons, a bench requested the Chief Justice of India to refer Delhi Metro Rail Corporation v. Tarun Pal Singh, (2018) to the aforesaid larger Bench for reconsideration. The State Consumer Disputes Redressal Commission, Chandigarh by its various orders allowed the complaints and directed refund of the amounts deposited by the concerned complainants with interest @ 15 percent per annum in some cases and with lesser rate in others and compensation. To hand over physical possession of the unit(s), allotted in favour of the Buyers. Execute and get registered the sale deed in respect of the unit(s), in question, within one month from the date of handing over of possession. The stamp duty, registration charges and incidental expenses, if any, shall be borne by the Buyers. To pay compensation, by way of interest @12% p.a., on the deposited amount, to the buyers, from 26.04.2014. A, respectively till 31.10.2016, within 45 days, from the date of receipt of a certified copy of order, failing which, the said amount shall carry penal interest @15% p.a., instead of 12% p.a., from the date of default, till realization. To pay compensation by way of interest @12% p.a. on the deposited amounts, to the buyer w.e.f. 01.11.2016, onwards (per month), till possession is delivered, by the 10th of the following month, failing which, the same shall also carry penal interest @15% p.a., instead of 12% p.a., from the date of default, till payment is made. Pay compensation in the sum of Rs.1,50,000/- on account of mental agony, physical harassment and deficiency in service, and Rs.35,000/- as litigation costs, to the buyers, within 45 days from the date of receipt of a certified copy of the order, failing which, the said amount shall carry interest @12% p.a., from the date of filing the complaint(s) till realization. Apex court disposed the matter on an agreed understanding and since no order of compensation was passed in Himanshu Arora, no compensation other than what has been dealt with earlier, need be paid to the Complainants as per the chart prepared by the counsel.